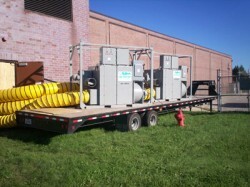 DeHumidification Technologies, LP is the leader in water damage services. 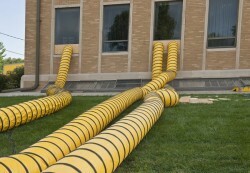 If you are faced with a storm disaster, fire damage or plumbing failure, we have the equipment and experience to get your property dry and back to normal operations in record time. 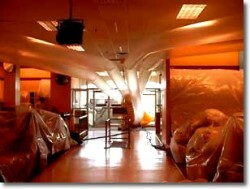 DH Tech has the capabilities to handle individual offices and warehouses to large multi-story losses. The aftermath of fires, floods, hurricanes, and plumbing failures can be devastating. Water, vital to life, can be one of the most destructive elements of nature. If water or moisture is not controlled, it will destroy walls, flooring, furniture, documents, electronic equipment and more. 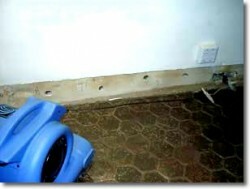 Read more about water damage in the article, Five Stages of Water Damage. Also, learn about the effects of each stage and the quick and effective actions that should be taken at each stage to prevent further damage and restoration costs. The elimination of excessive moisture is a very precise science. We calculate grains of moisture and relative humidity with the use of psychometric charts. The drying times of almost every substance can be accurately calculated by using known formulas to measure density, absorption factors and moisture release characteristics. The process of using dehumidification to lower vapor pressure is thoroughly understood by the technical staff of DH Tech. 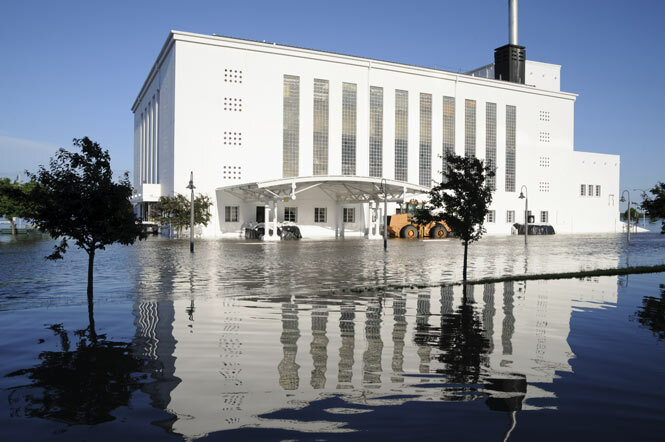 We are the industry leader in drying and stabilization and we can reduce your restoration cost due to water damage by minimizing business interruption, preserving unaffected areas, reducing mold and mildew damage. 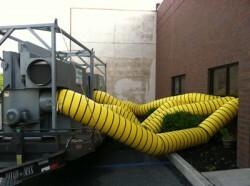 We have the right equipment to dry out your space of any size in variable style dehumidifiers and temperature control units that are available to you 24 hours a day, 7 days a week, 365 days a year. Our highly qualified staff and trained technicians are on call to help minimize your losses and get you back in business. We have strategically placed our large fleet of equipment in nine domestic and four international locations, allowing our 24 hour emergency response to get to you before the damage sets in.